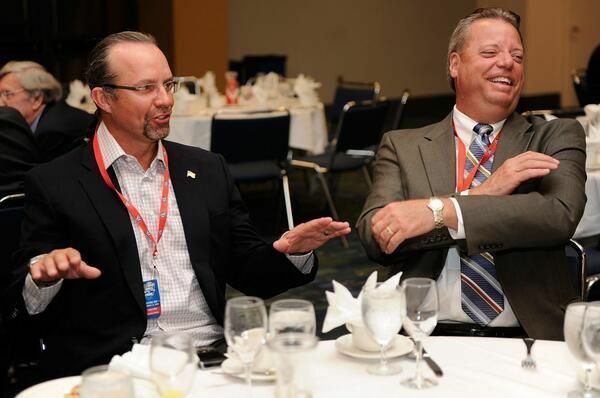 It's not even 2018 yet, but with less than two months before the start of the 2018 NASCAR season - and not to mention the Folds of Honor QuikTrip 500 at Atlanta Motor Speedway on Feb. 25 - AMS president Ed Clark already has racing on his mind. And that can only mean one thing: Ed Clark's vaunted annual NASCAR predictions. After consulting his mystical crystal ball, Clark has handed down six brand new predictions for a highly anticipated 2018 NASCAR season. 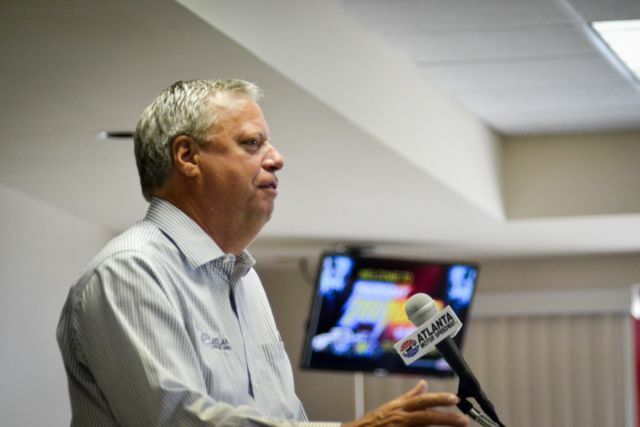 "It's hard to believe it, but another NASCAR season is already fast approaching, and everyone here at Atlanta Motor Speedway is hard at work getting ready for an exciting Folds of Honor QuikTrip 500 weekend in February. "I've been pretty close on my predictions over the past couple of seasons, and I'm confident the trend will continue in 2018. "So without further ado, here are my predictions for the 2018 season." You can't keep American muscle down for long! After Chevy's 13-year run of manufacturer's championships between 2003 and 2015, Toyota earned its first two titles in both 2016 and 2017. But with an all new model in the Monster Energy NASCAR Cup Series for the 2018 season, the Camaro ZL1, Chevrolet will get back into the manufacturer's win column on the strength of a powerhouse lineup of Bowtie drivers, including Kyle Larson, Chase Elliott and seven-time champion Jimmie Johnson. Talk about a rising star. It seems more and more these days that there isn't much AMS Thursday Thunder Legends alumnus William Byron can't do. As a quick recap, Byron won the NASCAR K&N Pro Series East Rookie of the Year in 2015, the NASCAR Camping World Truck Series Rookie of the Year in 2016 and the NASCAR XFINITY Series Rookie of the Year just this past season in 2017. So why stop now? William Byron will continue his ascent to stardom by winning his fourth Rookie of the Year award in as many seasons, edging out Darrell Wallace, Jr. for the 2018 title in the Monster Energy NASCAR Cup Series behind the wheel of his sleek new No. 24 Hendrick Motorsports ride. Between Team Penske veterans Brad Keselowski and Joey Logano, the pair of Ford drivers have no less than 42 career Cup Series victories under their collective belt. Each with at least one win every season since 2012, Penske is a perennial powerhouse among the top teams on the circuit, and it will only get better with the addition of Ryan Blaney as the team's third full-time driver in 2018. All three Penske drivers will find Victory Lane next season, as they continue to feed of each other's on-track success. Like we've seen in recent years with teams like Stewart-Haas Racing and Furniture Row Racing, it's not outside the realm of possibility for a major NASCAR race team to jump ship from one car manufacturer to another when an advantageous opportunity presents itself. That said, I predict one top Cup Series team with a long-tenured manufacturer alliance will announce plans sometime in 2018 to move to a different OEM for the 2019 season. Keep an eye on the news for this one. Considering the way Martin Truex, Jr. racked up stage wins all season long to put himself in a favorable position all throughout the 2017 NASCAR Playoffs, a majority of race teams will adjust their in-race strategies in 2018 - especially early in the season - to focus more on collecting those highly valuable Playoff points. That will result in even more frantic, aggressive and highly chaotic final laps at the end of stages next year. There are a lot of talented drivers out there who have yet to earn their first career Cup Series victory. That will change for three of them in 2018. Chase Elliott, Darrell Wallace, Jr., Alex Bowman, Erik Jones, Daniel Suarez and Ty Dillon are all likely candidates to find Victory Lane next season, and half of them will do it. "Oh, and just as a side-note, you may have noticed that I chose not to predict a Cup Series champion for next year. I picked Joey Logano in both 2015 and 2017, but it appears it may have been more of a curse than a blessing each time. So with that in mind, I'm going to try and avoid being a harbinger bad luck in 2018. Sorry about that, Joey! "Well, be sure to check back in with me next November to see just how accurate I was with my predictions for 2018. Until then, have a happy holidays, and we'll see you in Atlanta in February!" NASCAR racing returns to Atlanta Motor Speedway Feb, 23-25, 2018, featuring the Rinnai 250 XFINITY Series and Active Pest Control 200 Camping World Truck Series doubleheader on Saturday, Feb. 24 and the Folds of Honor QuikTrip 500 Monster Energy NASCAR Cup Series race on Sunday, Feb. 25.